There is always something exciting happening in Breckenridge. 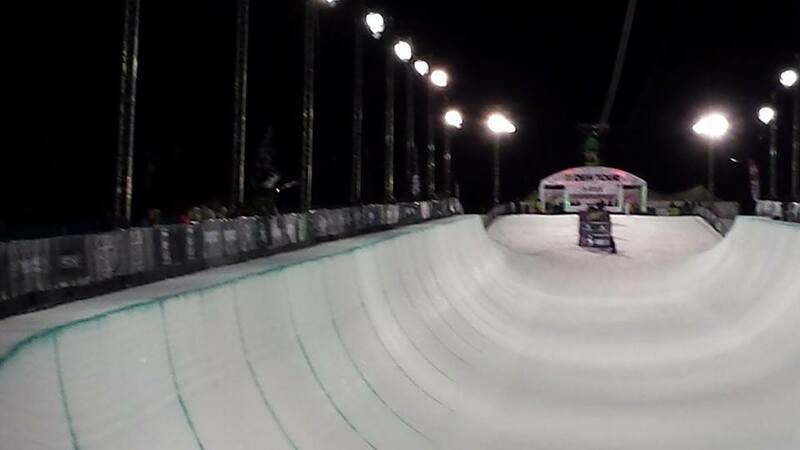 It just happens that this time it is the Dew Tour! And, of course, ski season is in full swing in Breckenridge, Colorado with pristine powder, groomed trails, and breathtaking views. Don’t miss out, and be sure to check out Grand Lodge on Peak 7, boasting luxurious and convenient skiing accommodations in Breckenridge, Colorado. World class amenities, ski in/ski out access, apres ski amenities including salt water hot tubs, pools and on site restaurant/bar are just a few of the many perks to calling Grand Lodge on Peak home. Fractional real estate ownership allows discerning buyers to access these luxurious condos for a fraction of full ownership price. These luxurious condos range from suites to four bedroom units with four bathrooms and 2 fireplaces! Owners customize their experience at Grand Lodge on Peak 7 based on their individual needs. Right now on our featured properties page, view condos available for your home away from home. Click here for more info: http://www.breckenridgeluxurycondosales.com/featured-properties/. This entry was posted on December 15, 2013 by elevatemarketingaz. It was filed under Breckenridge Colorado Luxury Condo Sales, Breckenridge Luxury Condo Sales, Fractional Ownership Real Estate, Fractional Ownership Real Estate Breckenridge CO, Luxury Fractional Real Estate, Luxury Fractional Real Estate Breckenridge CO, Luxury Fractional Real Estate Breckenridge Colorado, Real Estate Breckenridge Colorado, Ski In, Ski Out Luxury Condo Breckenridge Co, Ski In, Ski Out Luxury Condo Breckenridge Colorado and was tagged with Breckenridge Colorado, Breckenridge Colorado accomodations, Breckenridge Colorado condos, Breckenridge Colorado skiing, Breckenridge luxury condo sales, Grand Lodge on Peak 7, luxurious condos, ski out real estate breckenridge colorado, ski_in_ski_out Breckenridge condo.